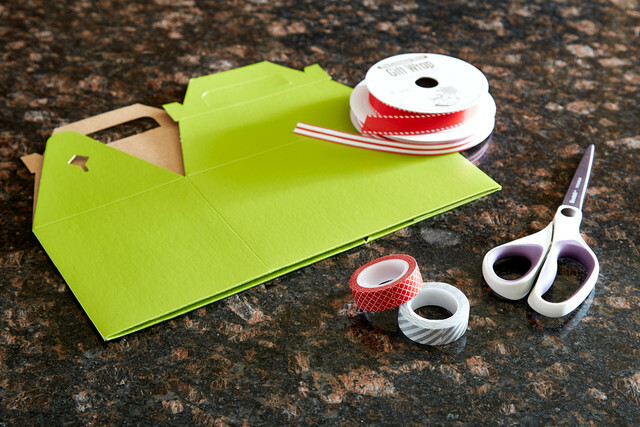 Emily, our talented gift wrap buyer, is the youngest of five kids who grew up surrounded by yummy Christmas cookies during the holidays. Her mom is a great cook who baked up lots of tasty treats for the family when Emily was little, but it was Emily's Aunt Rubina who taught her how to bake beginning at a very early age. 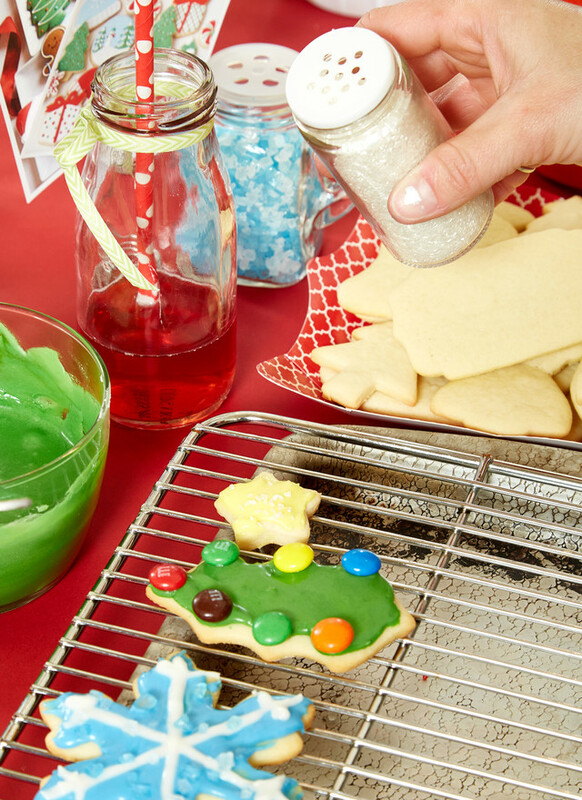 And how perfect that the first recipe she learned was the family's traditional Christmas sugar cookie recipe. 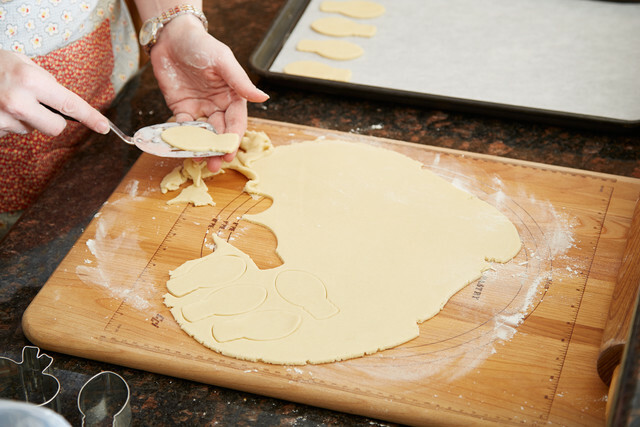 A year after her aunt passed away, Emily wanted to start a tradition of her own to celebrate the memory of baking these cookies that she cherished so much. 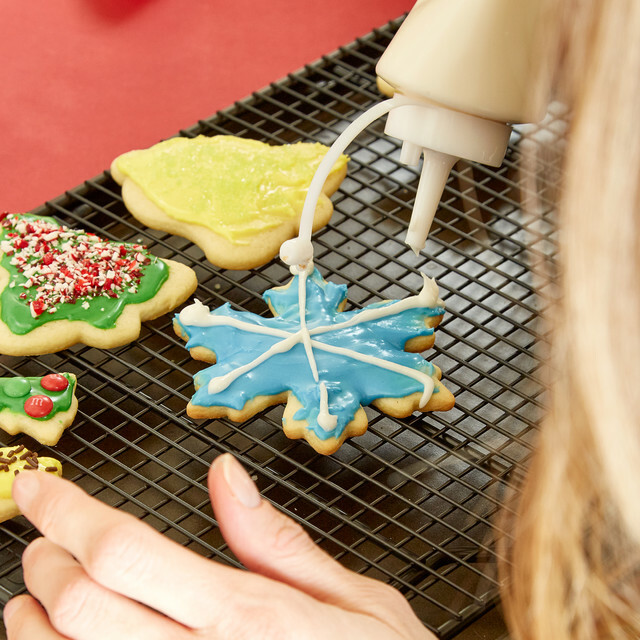 But since she and most of her friends were busy working women, she opted for a cookie decorating party in lieu of a cookie exchange. 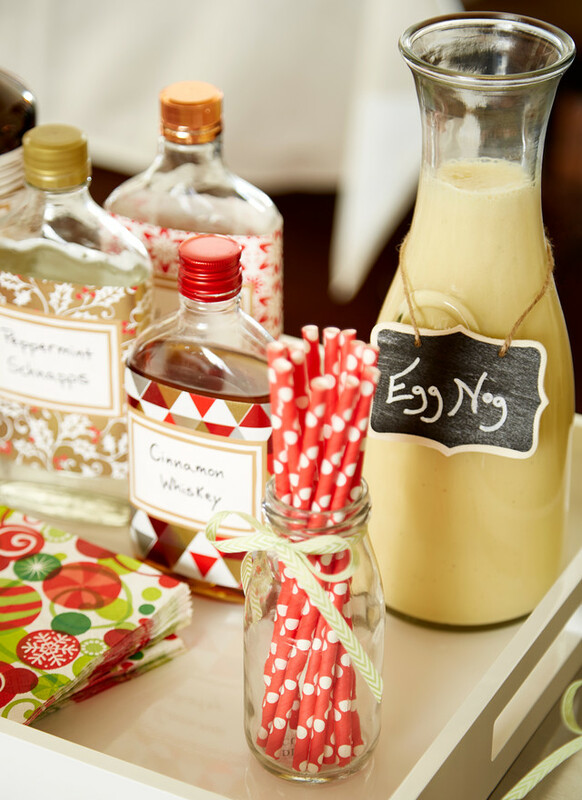 That way, Emily would do the heavy lifting in the kitchen prior, and she and her friends would just eat, drink and be merry decorating cookies during the evening. 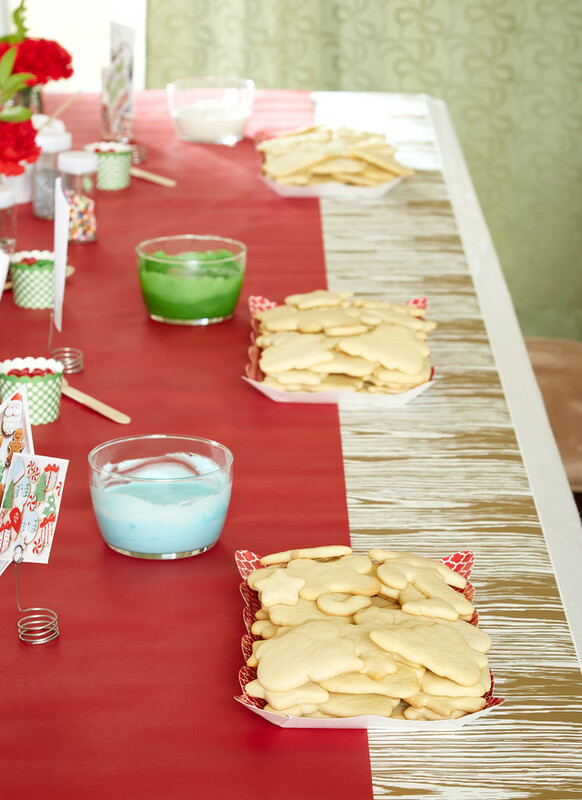 This year she celebrated her 10th annual cookie decorating party, and she shared her family's recipe with us and some fun and easy tips for throwing a gleeful cookie gathering like hers! On lightly floured surface, roll to 1/8 inch. 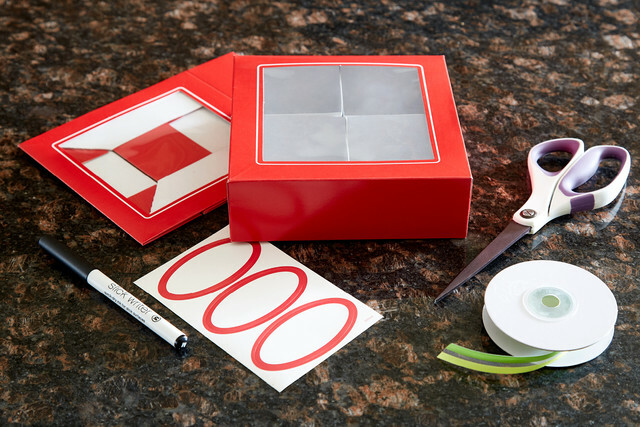 Cut in desired shapes with cutters. 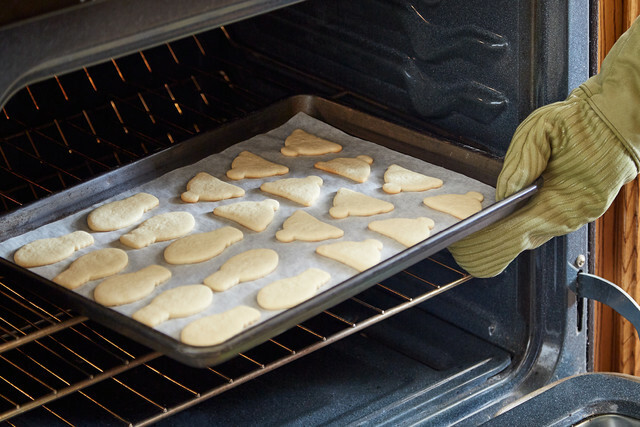 Bake on greased cookie sheet or parchment lined cookie sheet at 375° about 8-10 minutes. Cool slightly; remove from pan. Cool on rack. Decorate as desired. 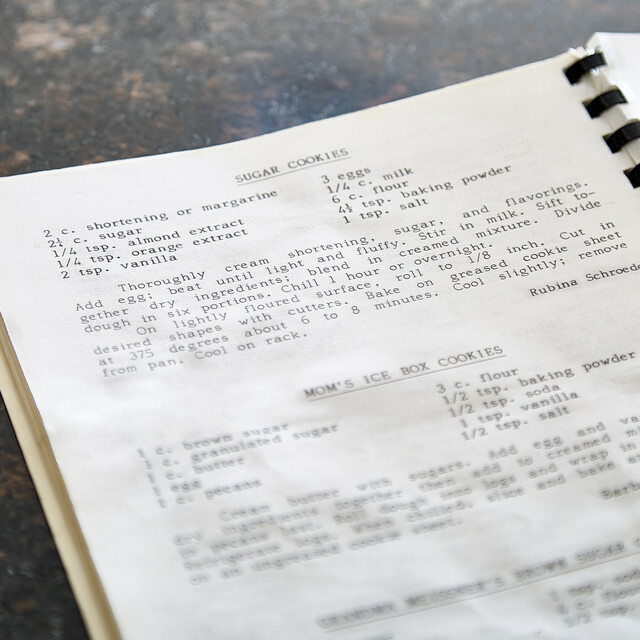 Combine all ingredients except water or milk in a large bowl. 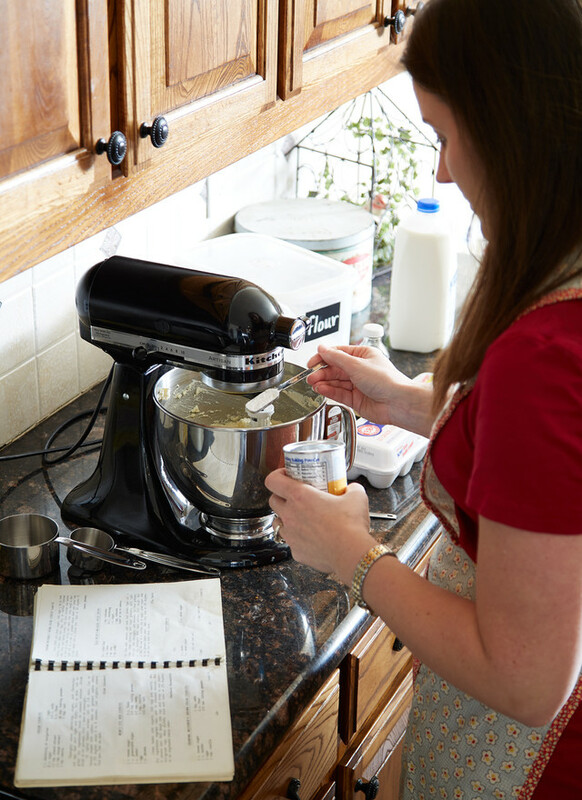 Add ¼ cup water or milk and keep adding a tablespoon at a time until the icing is your desired consistency. 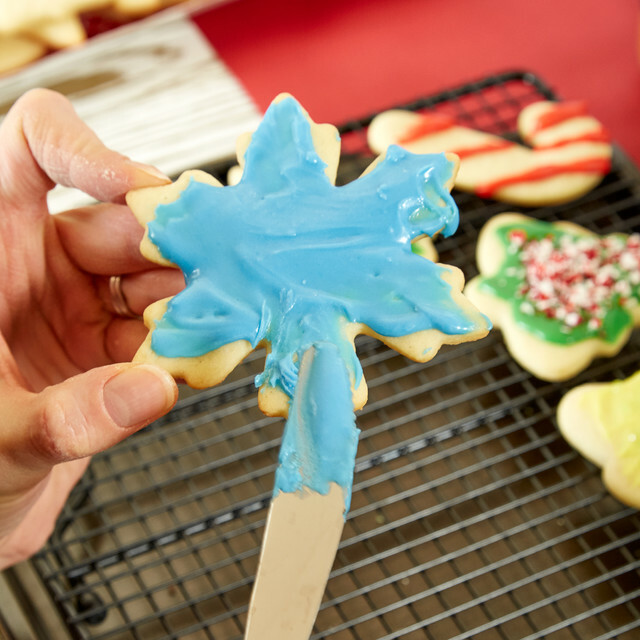 Spread it on the cookies with a knife or use a piping bag. 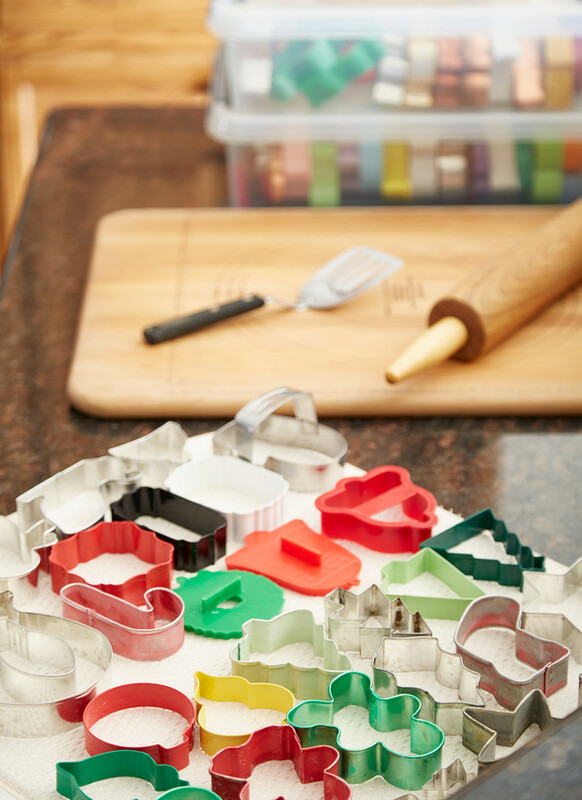 Emily uses about 40 different cookie cutter shapes, usually adding at least one new one each year. This year, new additions included a ski cap, a Christmas light, a snowman with a scarf and an ugly Christmas sweater. 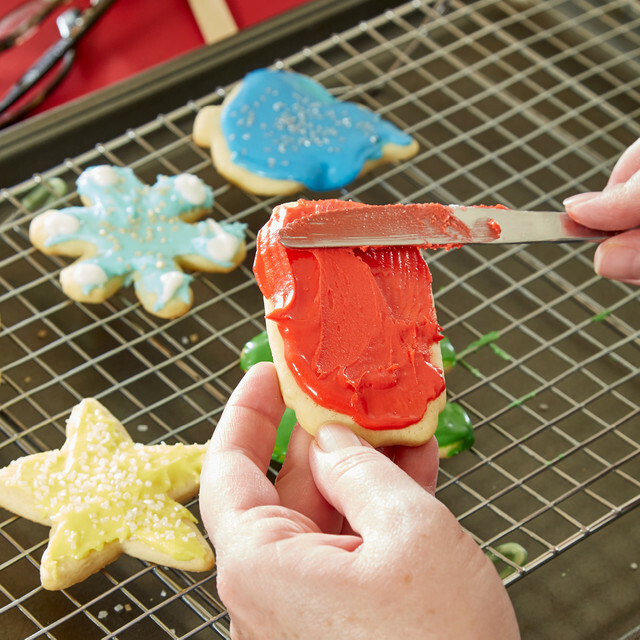 Emily uses her Aunt's spatula because it's thin and makes lifting the cookies to the cookie sheet super easy. 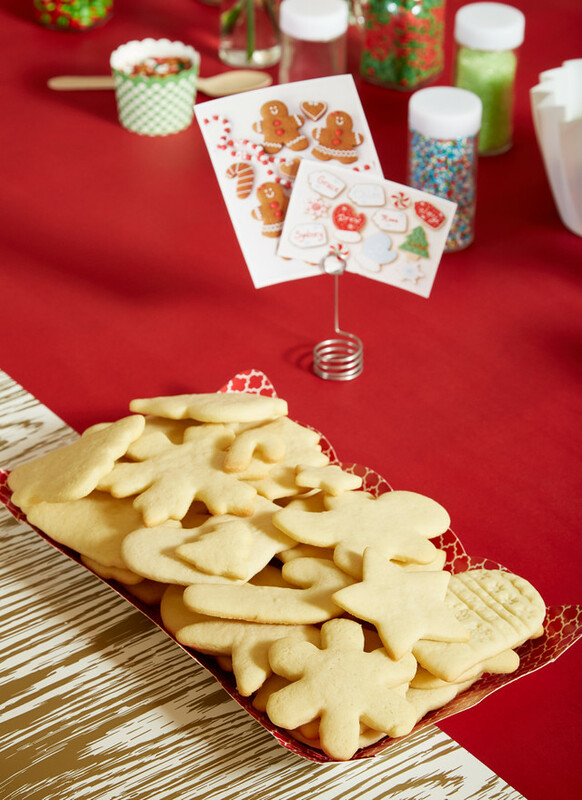 She bakes up over 350 cookies prior to the party. 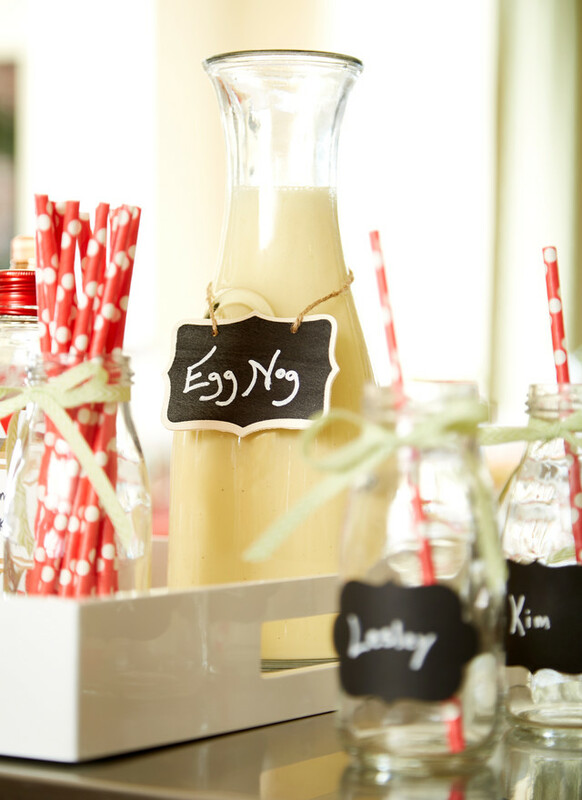 A festive eggnog and spiced tea bar is set up for Emily's guests. 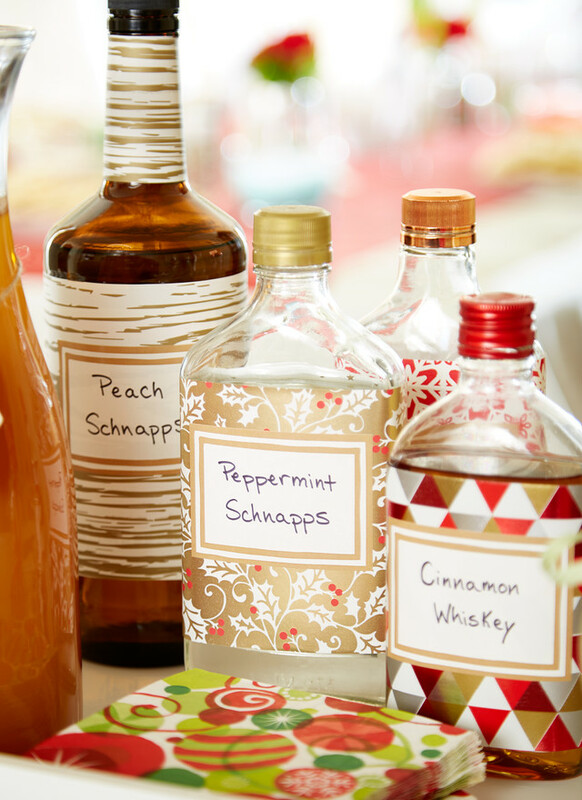 She used gift wrap from our Gift Wrap Wonderland to cover the liquor bottles making them festive and fun, labeling them for the guests. 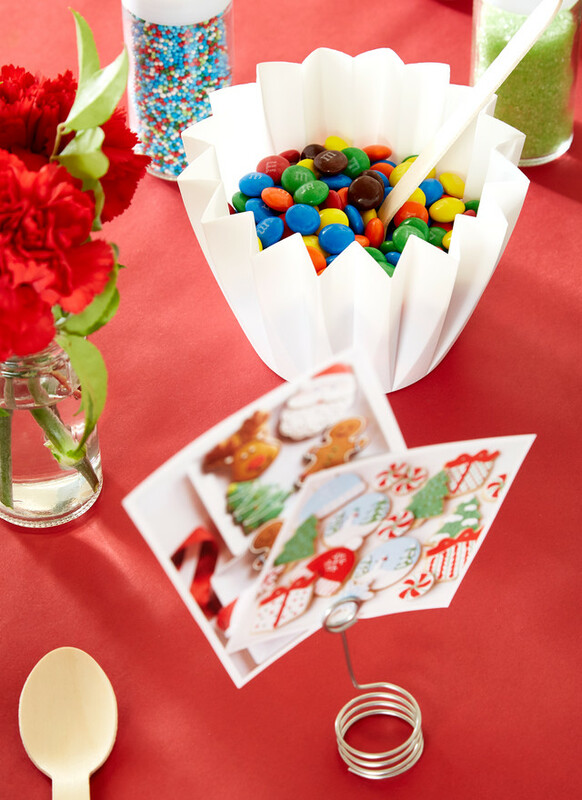 Emily uses our gift wrap as a table runner. 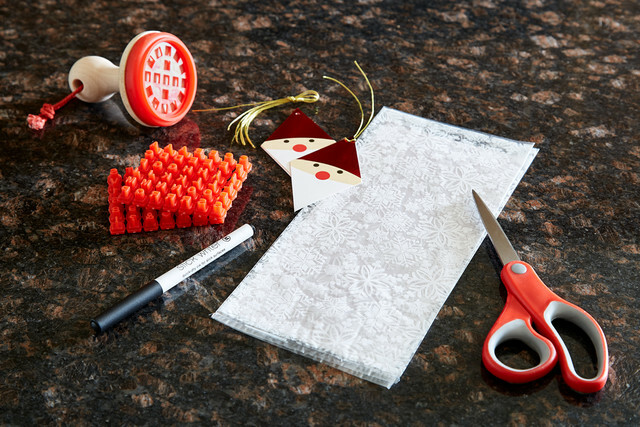 She puts down a tablecloth first and then creates a runner out of our gift wrap, using our treeless wrap, which is perfect because it's water resistant and makes cleanup easy. 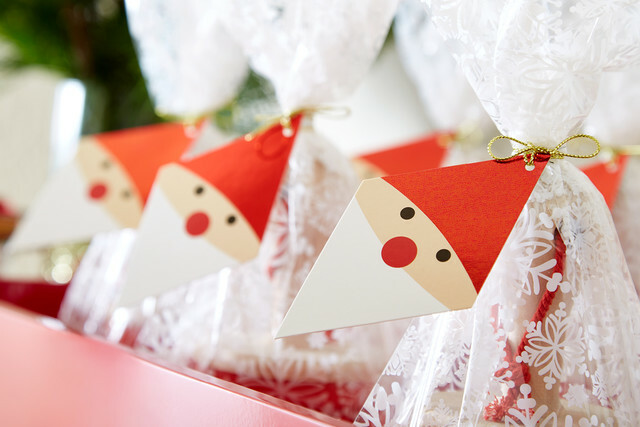 Each guest received about four dozen cookies to decorate during the evening. 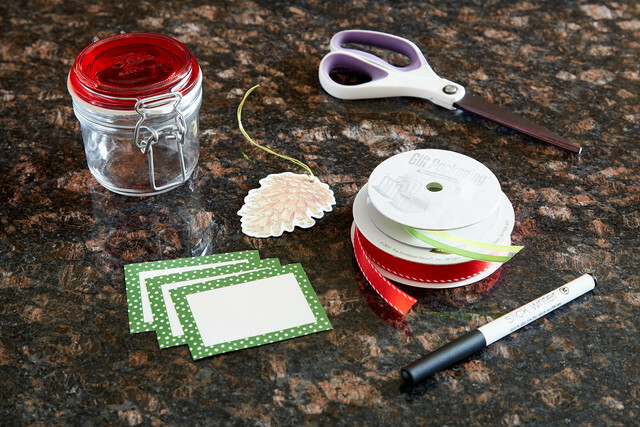 Emily puts little decorating examples on the table to provide inspiration for her guests. 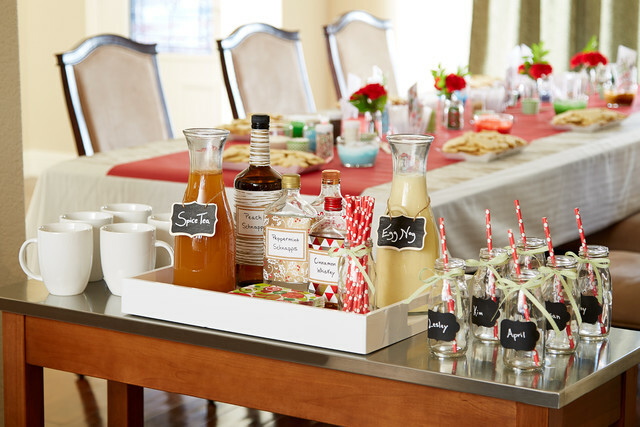 The table is also full of containers filled with icing and toppings like sprinkles and chocolate candies. 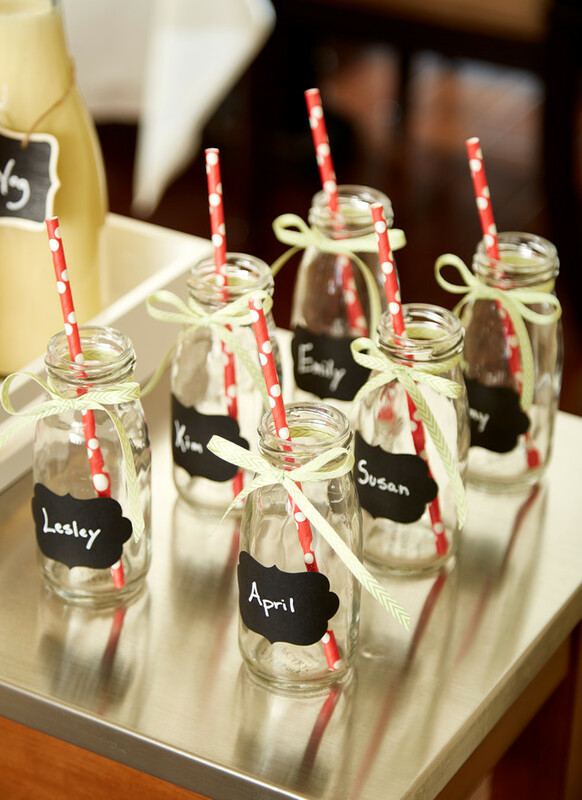 Emily's guests are a mix of friends from her kids' school and from church - they typically eat dinner first before they get busy decorating their cookies. 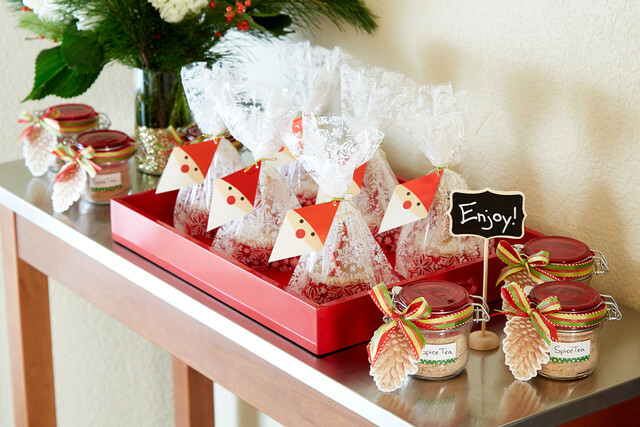 Emily says she loves to see everyone's decorating approach - some are meticulous and some are a little more free form. 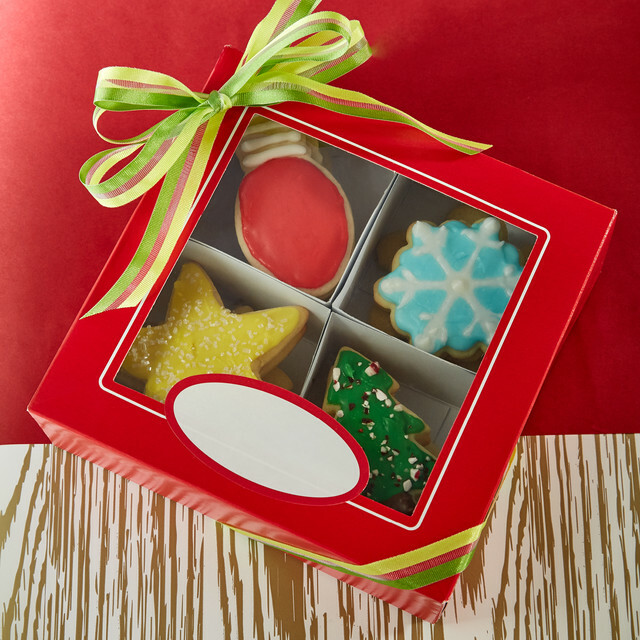 She loves that each and every cookie is unique and has that homemade look that definitely tells the recipient it came from the heart. 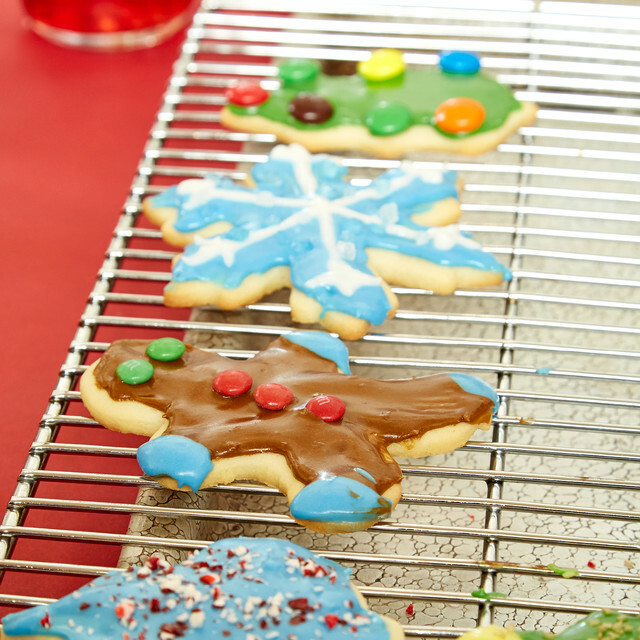 Such a gracious hostess, all Emily asks her guests to bring is a cookie sheet and cooling rack, which the guests decorate their cookies directly on - sprinkles fall right through the cooling rack and avoid a mess on the table. 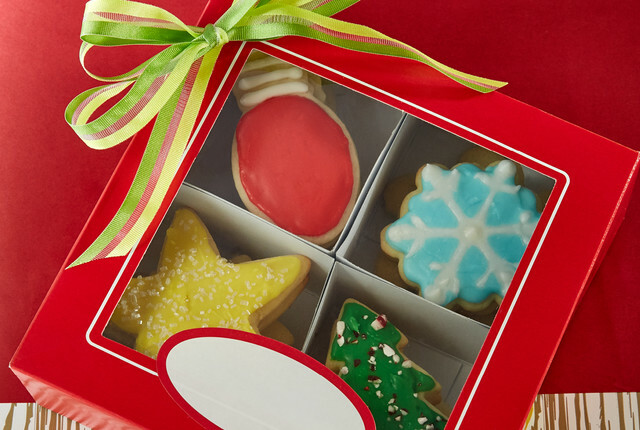 After they decorate the cookies, they package them up in boxes of varying sizes. 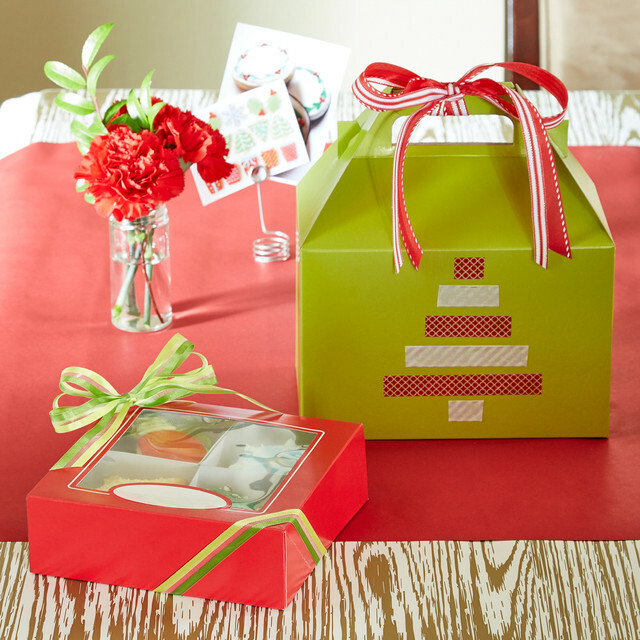 The homemade treats make great gifts for teachers, co-workers and neighbors. 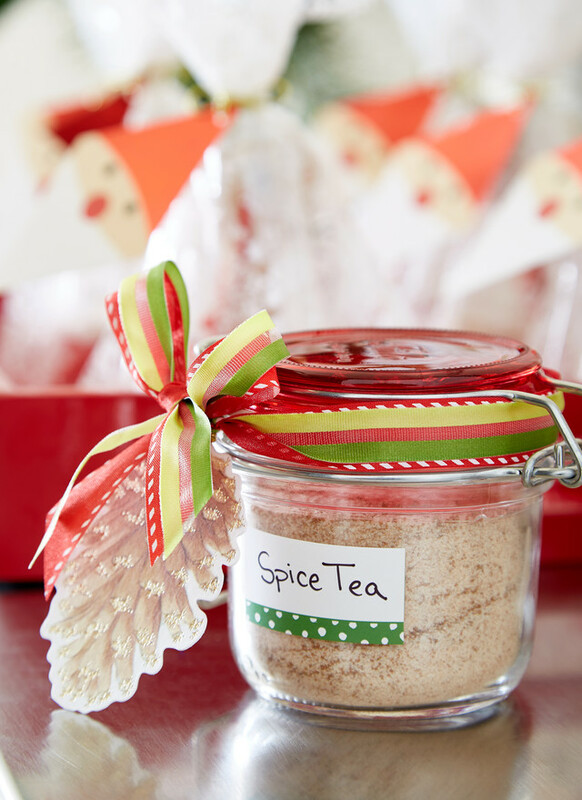 Emily's guests not only leave with their cute cookies, but also with a gift of spice tea mix and our cookie stamp wrapped up in whimsical, cheery packaging. 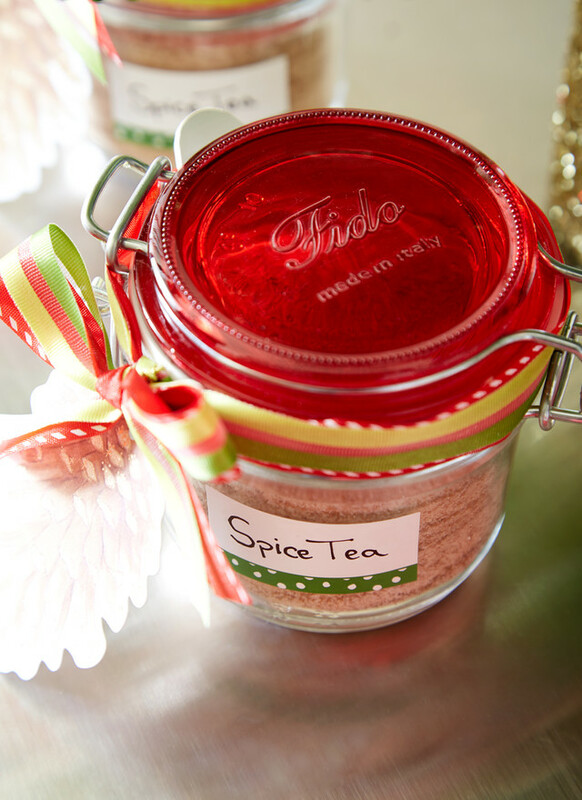 Stir a tablespoon (or to taste) into a cup of hot water. What a fun tradition! We know it's one that Emily will pass down to her own children and share her sweet memories of Christmases past - cookie filled of course! 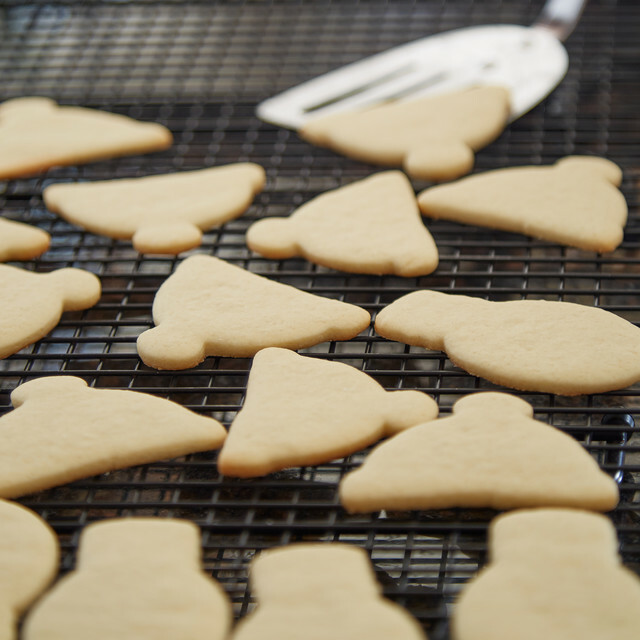 Do you have a cookie tradition? Tell us about it!